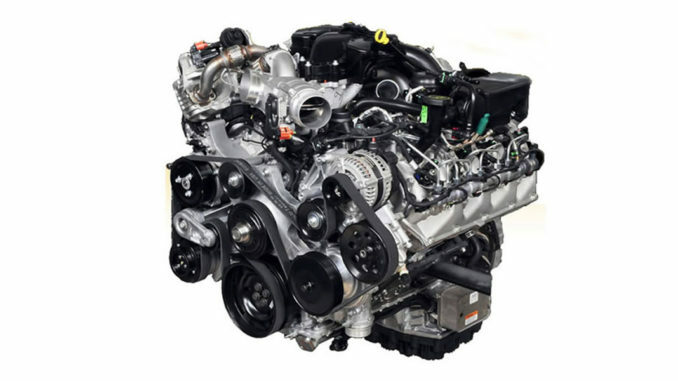 The Powerstroke 6.0L is the second diesel engine Ford used in their Superduty trucks and E-Series Vans. It replaced the outdated Powerstroke 7.3L, and although many enthusiasts will argue the 7.3L was better, the 6.0L still has a big following. International Truck and Engine designed and built this engine, also known as Navistar International. Interestingly enough, the Powerstroke 7.3L and Powerstroke 6.0L were offered simultaneously in 2003, but the 7.3L ultimately ended up dying. Despite widespread complaints of problems, the Powerstroke 6.0L has remained one of the most popular diesel tuner engines out there. There are rumors that the International version of this engine, VT365, is more reliable due to the lack of emissions components on the International version. Compared to the 7.3L, the 6.0L Powerstroke was much more advanced and met emissions requirements initially, but Ford ended up phasing the 6.0L out, as it wouldn’t meet the increasingly restrictive emissions demands. As you probably already know, the Powerstroke 6.0L was used in Ford’s medium and heavy-duty vehicles. In the aftermarket world, you can also find this engine swapped into all sorts of different vehicles ranging from trucks to boats. No engine is without its faults. Even the best engines in the world have their weak points. Unfortunately, the Powerstroke 6.0L is often referred to as one of the most problematic and unreliable Powerstroke engines. Many of the issues that owners complain about stem from lack of maintenance. That being said, it’s still a relatively unreliable engine when compared to the older 7.3L Powerstroke. A lot of the issues are related to the emissions systems. It’s pretty easy to delete these emissions systems, however, it’s likely not a legal modification depending on where you live. The common problems include EGR clogging, FICM failure, head gasket failure, EGR cooler problems, High Pressure Oil System problems, IPR and ICP failure, as well as other problem. Many of these issue can be solved with a “bulletproof” package, which is designed to fix all these issues. If you intend on modifying your truck, replacing the head bolts with aftermarket head studs is a great way to prevent head gasket failure. Straight out of the box, the Powerstroke 6.0L isn’t particularly powerful. At 325 horsepower and 570 lb-ft, it leaves a lot to be desired. Luckily, tuning diesel engines is very popular and the aftermarket support for this Powerstroke engine is massive. For around $1,000 of less, you can crank a Powerstroke 6.0L up to 400whp and over 800 lb-ft of torque. The best way to big power out of this engine is with a quality tuner, an exhaust system, upgraded injectors, and an upgraded fuel regulator. For those who want even more power than this, head studs are an absolute necessity. With head studs, a different intake, an aftermarket fuel regulated return system, a larger turbocharger, you can push this engine upwards of 500whp depending on the size of the turbocharger which you install. At this point, the truck you’re modifying will be very fast and even keep up with modern sports cars in a straight line!